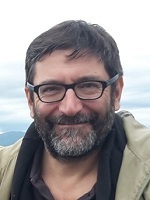 Lorenzo holds a Msc in Forest Sciences and a Ma in History, curriculum in geography-anthropology. He is a freelance in rural planning and development, recovery and promotion of periurban, hilly and mountain agriculture. Lorenzo works with several public and private institutions in projects of disaster risk management and in particular hydrogeological hazards and forest fires, working on prevention and environmental recovery; he plans farm buildings, rural roads, agro-forest systems adopting naturalistic engineering techniques; and he is expert in forest-wood-energy supply chain, wildlife management, European projects and PSR, and urban planning standards in rural areas. To conclude, Lorenzo was director of the ATC of Pistoia.